Give us your email so we can send you DTH Recharge Coupons once a day and our biweekly newsletter. Get free coupons for your DTH recharge from PayTM, Mobikwik, RechargeAdda, Komparify and other DTH recharge sites.You can recharge for your DTH connectioins from TataSky, D2H recharge for Videocon, DTH recharge for Airel, SUN & all other DTH services, You will also find all the DTH plans listed. You can select you packages & make the payment. Once recharge is done for DTH connections, it will be activated within few minutes. All the recharges offers for your Tata Sky connections, D2H videocon connections, DTH from SUN, Reliance DTH connections are listed here. Packages like full HD, Sporsts, Movie, Entertainment, Regional can be selected & pay the amount online. 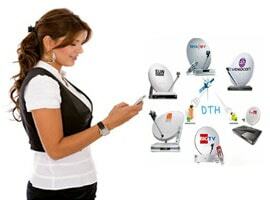 You will find all the dth recharge coupons for your connection listed here.